What&#039;s in your personal care products? Set on the beautiful beaches of Hawaii, “Reefs at Risk” explores the harmful effects some sunscreen chemicals have on coral reefs and marine life. In order to protect this fragile ecosystem, Hawaii bans the commonly used UV chemicals “oxybenzone” and “octinoxate” and hope that other states and nations will follow. Coral reefs are dying at an alarming rate. Why should you care? Coral reefs protect our shores and supply food and oxygen to our planet. They are considered the “rainforests of the sea.” Although there are many factors contributing to the destruction of coral reefs worldwide, “Reefs at Risk” introduces audiences to one they can easily eliminate through personal choice. This timely film takes you underwater to explore the marine environment and follows those on land trying to protect it. The film also questions the effects these chemicals may have on humans and presents solutions. 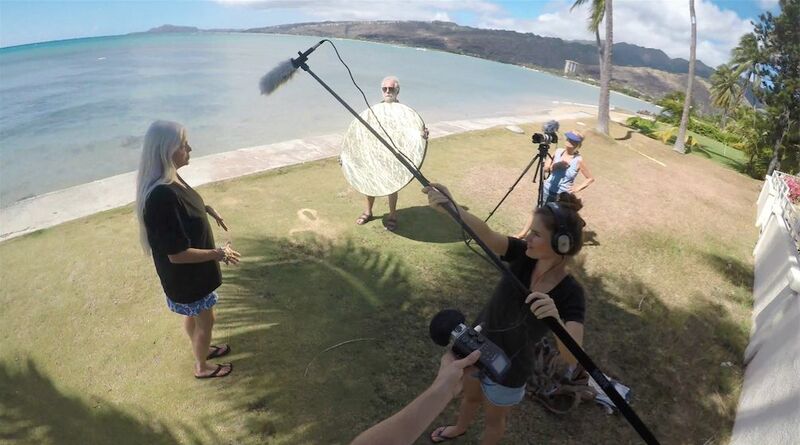 Lynn Pelletier and Malina Fagan are a dynamic mother-daughter filmmaking team from the Big Island of Hawaii who are currently making a feature documentary called “THE COVERUP” on the toxic chemicals in cosmetics and personal care products. They received a highly competitive grant from the Redford Center and were flown to Sundance, Utah to develop their film and produce a short “proof of concept.” Given the timeliness of the topic and the importance of our reefs, they decided to focus their short film on sunscreen pollution in hopes of helping get legislation passed in Hawaii to ban oxybenzone and other chemicals that are harmful to coral and marine life. To see a trailer and learn more about their feature film on cosmetics and personal care products visit www.thecoverupfilm.com. 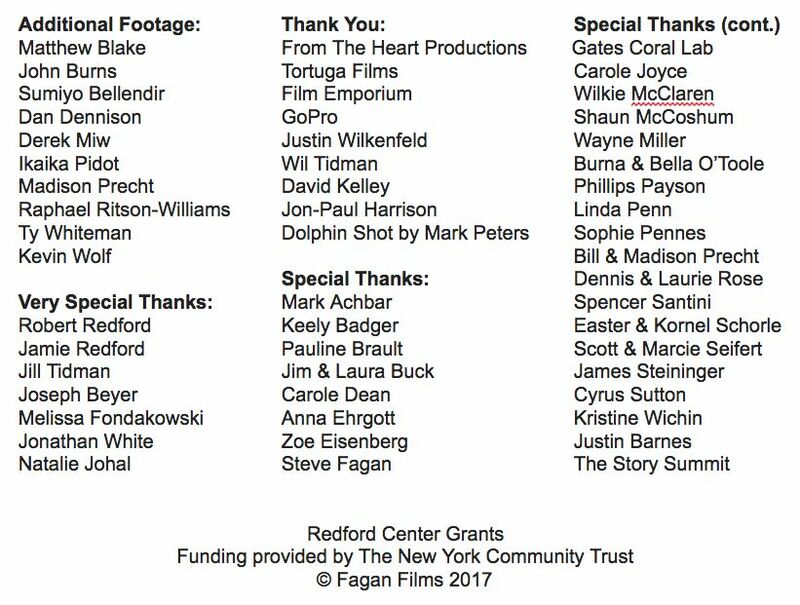 “Reefs at Risk” was filmed and edited in January and February of 2017 and was shared privately with Hawaii state legislators. It premiered at the Hawaii International Film Festival on April 10th and online on Earth Day, April 22, 2017. In the past year it has played in film festivals and classrooms around the world and been seen by well over 1-million people online, as well as on all Hawaiian Airlines flights. 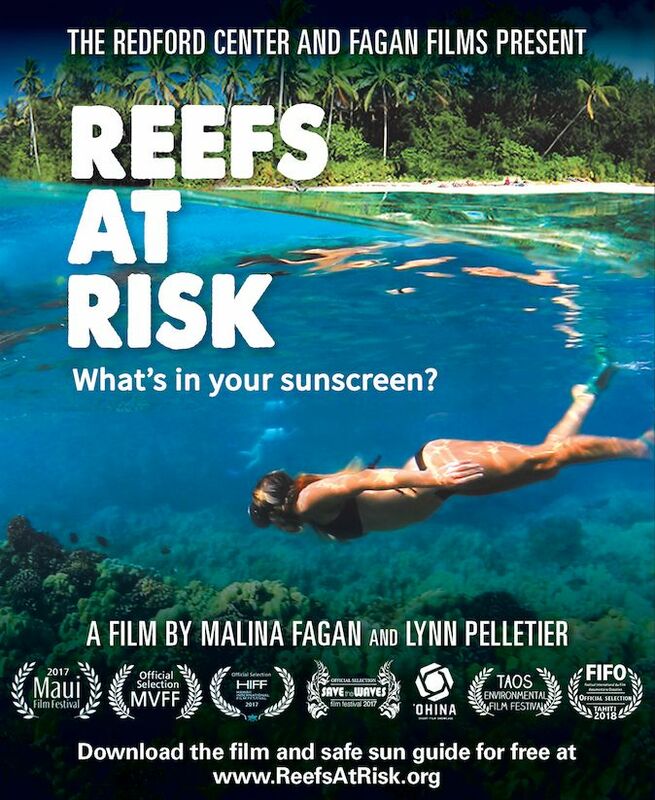 Filmmakers Malina and Lynn presented a webinar with NOAA and have done countless sunscreen swaps to help keep toxic chemicals off our reefs. Lynn is a health practitioner of over 35 years and longtime resident of the Big Island of Hawai’i. She has been a story consultant on short documentaries ranging in topic from indigenous cultures to the Hawai’i Volcanoes National Park. 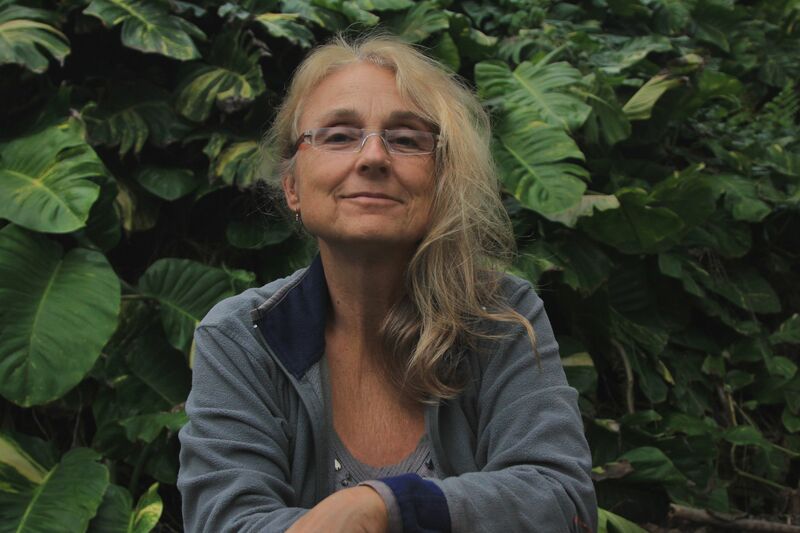 She is committed to raising awareness of environmental toxins and disease prevention through her documentary work, including REEFS AT RISK and THE COVERUP. From Kona on the Big Island of Hawai’i, Sarah Lee is incessantly glued to camera viewfinders, fins, and the ocean. As a long-distance swimmer and surfer, her strength as an athlete in the ocean allows her to capture stunning underwater images. Her work has been seen on the homepage of National Geographic, Instagram, CNN and in magazines including Cosmopolitan and Marie Claire.